Nothing quite like coming home from college and having Royal Mail. 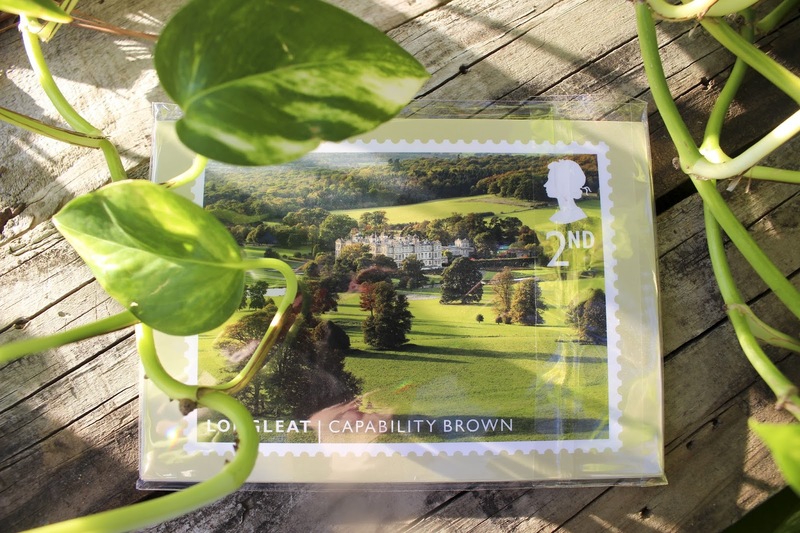 Actually, my father who is an avid stamp collector ordered my some limited edition Lancelot 'Capability' Brown stamps and postcards from the UK. Needless to say, I was pretty excited. 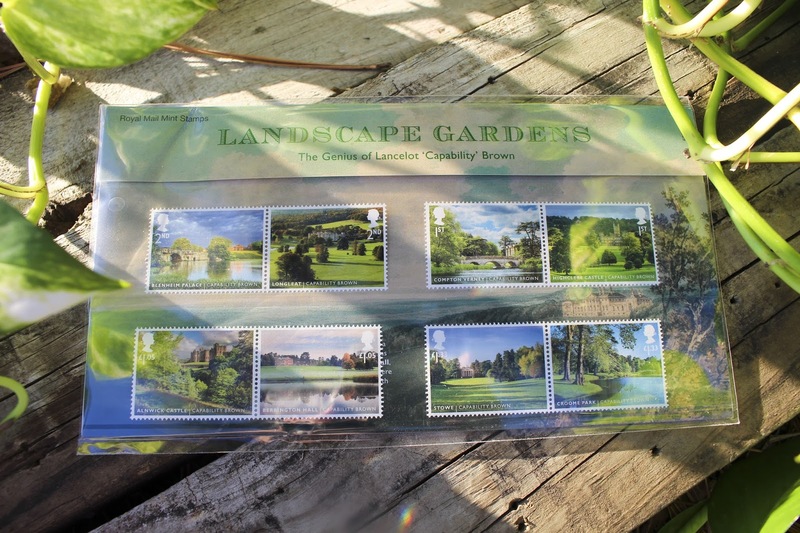 Lancelot Brown was an English landscape architect in the 18th century. 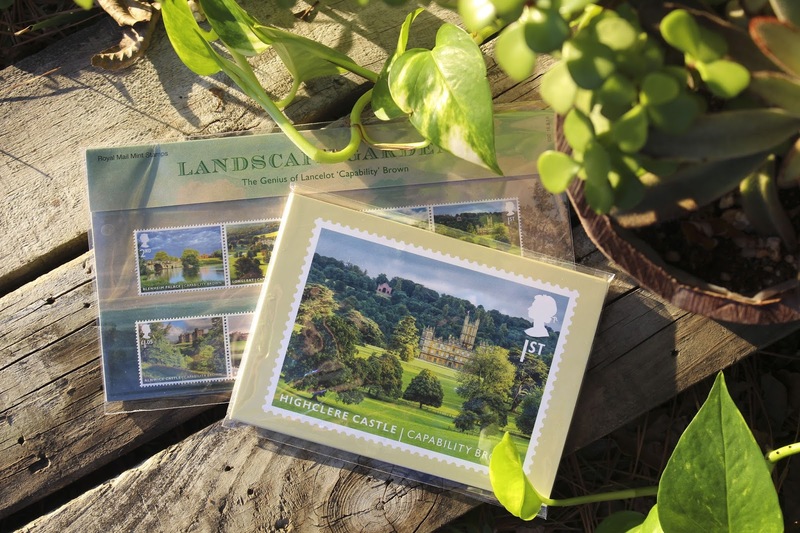 He earned his nickname, Capability Brown, by telling clients that their landscapes had great capability. 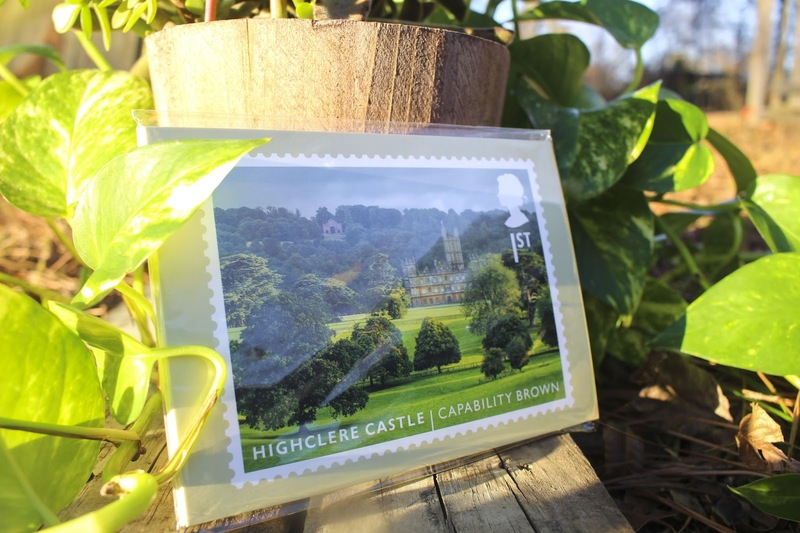 If you've watched Downton Abbey at all, then you're probably familiar with some of Brown's work, since he designed the gardens at Highclere Castle. His style for designing can be summed down to two main elements, comfort and elegance. He believed that the landscape should have everything to provide for the great house (comfort), but should still look coherent and aesthetically pleasing (elegance). 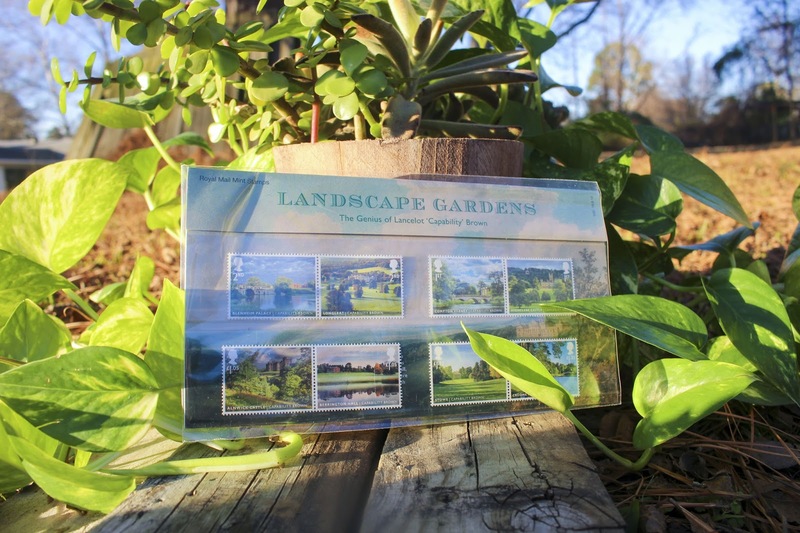 I'll be taking History of Landscape Architecture this spring at school and I'm so excited to really learn more about his designs. 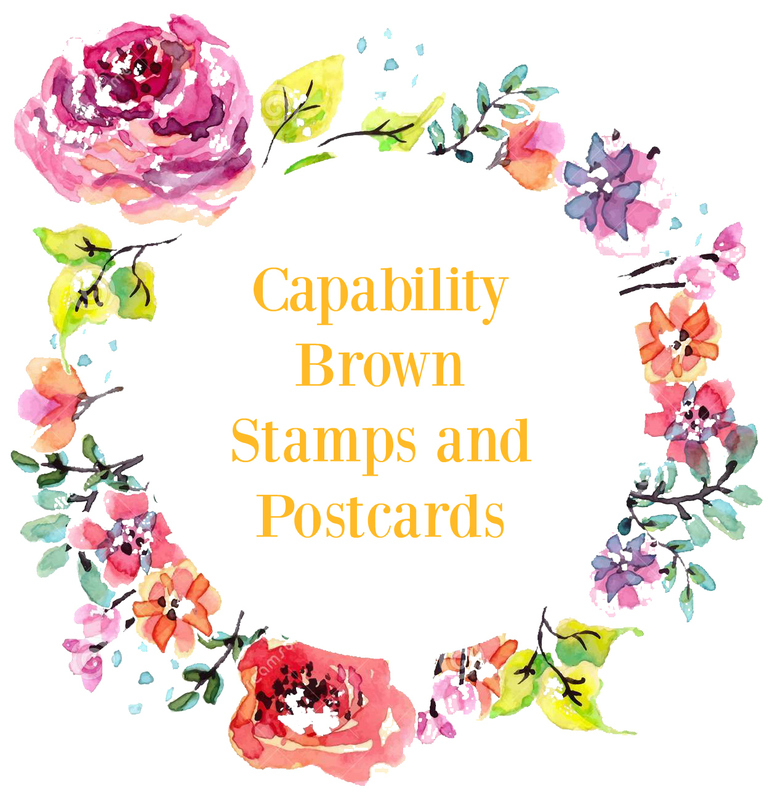 These stamps and postcards really jump started my drive to learn more. His designs have really seemed to stand the test of time, and we are still talking about him three centuries later. If that doesn't prove I could learn a lot from his work, then I don't know what does!